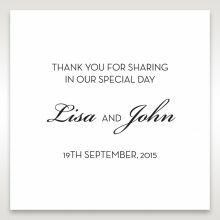 For your minimalist, modern event, this embossed card is ideal. 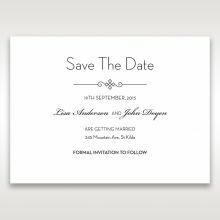 The date is embossed, white on white, on the front of a simple, single-fold card. 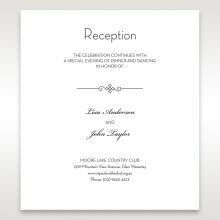 Inside is the event information, printed in modern black font. The combination of textured paper with delicate text is captivating. This invitation is ideal for many types of celebrations, from graduations to weddings. 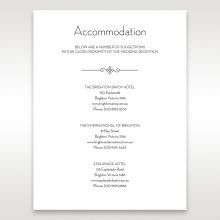 The Stationery Suite echoes the simplicity of the card itself. 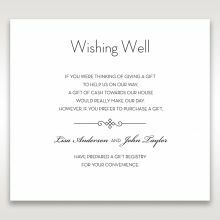 Offered by Giant Invitations, this is a favorite among those customers who prefer understated elegance. Beautiful invites, and really amazing value. The paper quality is really high, well above other's I've seen for a similar price.. The colour is a little creamy, which just adds to the quality as it isn't a stark white. 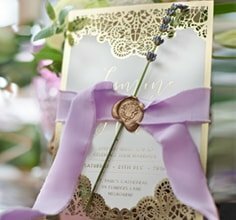 The fold out design is also quite unique, great if you're looking for something a little different to the normal invites. We were so impressed we'll be ordering them for our wedding! The invites are stunning! The material they are printed on are high quality. The invites are stunning! The material they are printed on are high quality. And I just like the overall style. 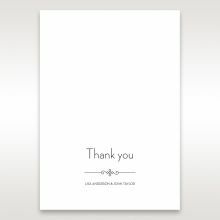 Very crisp and clean and for wedding invites they are perfect! I think I will be choosing this design for my own invitations. They come in a gorgeous envelope and I really liked the font that was used. They are also unique as a lot of invitations are just on one page the way that the invite opened up was a nice touch as it is different to what everyone else has. The invitation was exactly as shown and arrived quickly and in perfect condition. The cardstock was thick and felt high quality, and the printing and embossed date were sharp and precise. It came in a lovely envelope with a slightly pearly finish inside which felt quite lovely. 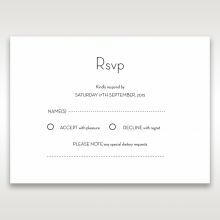 I liked the invitation, but thought it was perhaps more suited to a twenty first or eighteenth than a wedding as I thought it a little plain. This is, as it says, quite minimal in design, but it does feel like if that's the look you were after you would be very happy with it (although I decided against this one, it is only because it doesn't thematically fit with our wedding, not because of itself). Despite its simplicity, it feels very nice quality, the embossing on the front so very subtle but legible, clean, (slightly off-) white. The text inside, combining both script and block lettering actually looks quite elegant, in simple dark colour (I would guess if you wanted to shoot the elegance through the roof this would look quite shiny-flash in silver text, but that is not to dismiss the simplicity of the darker text). Simple. Subtle. Minimal. I like it, despite choosing against it. The invites are stunning! The material they are printed on are high quality. And I just like the overall style. 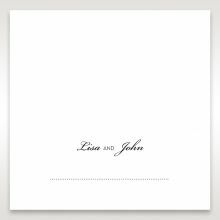 Very crisp and clean and for wedding invites they are perfect! I think I will be choosing this design for my own invitations. They come in a gorgeous envelope and I really liked the font that was used. They are also unique as a lot of invitations are just on one page the way that the invite opened up was a nice touch as it is different to what everyone else has. These simple & understated invites arrived in the mail yesterday and are absolutely perfect for our classic style of wedding.The custom embossing of the wedding date on the cover gives the impression that the invites are so much more expensive than the reasonable price.The beautiful paper stock is lovely to the touch & a nice crisp white. Love the font printed inside too, because its not too fussy. I have just received the sample of these today and they are just absolutely gorgeous! The quality of the paper is great and the embossing is nice and noticeable! 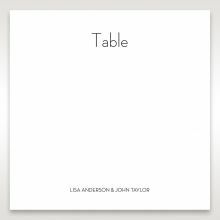 I would highly recommend this product if you would a classy, modern and minimal invitation, they look very expensive. The envelope is of high quality also, matches perfectly with the invitation. Can not wait to receive these and send them to our guests. I have chosen these invitations for our wedding as I love the simply modern look. 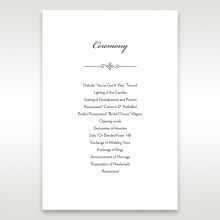 I have been so impressed by, and have loved the easy service provided by Giant invitations online. It has been so easy to custom order what we want and the processing times are so quick. Also to mention how great it is to have 3 free proof checks to make sure we get exactly what we are after. I highly recommend Giant invitations! 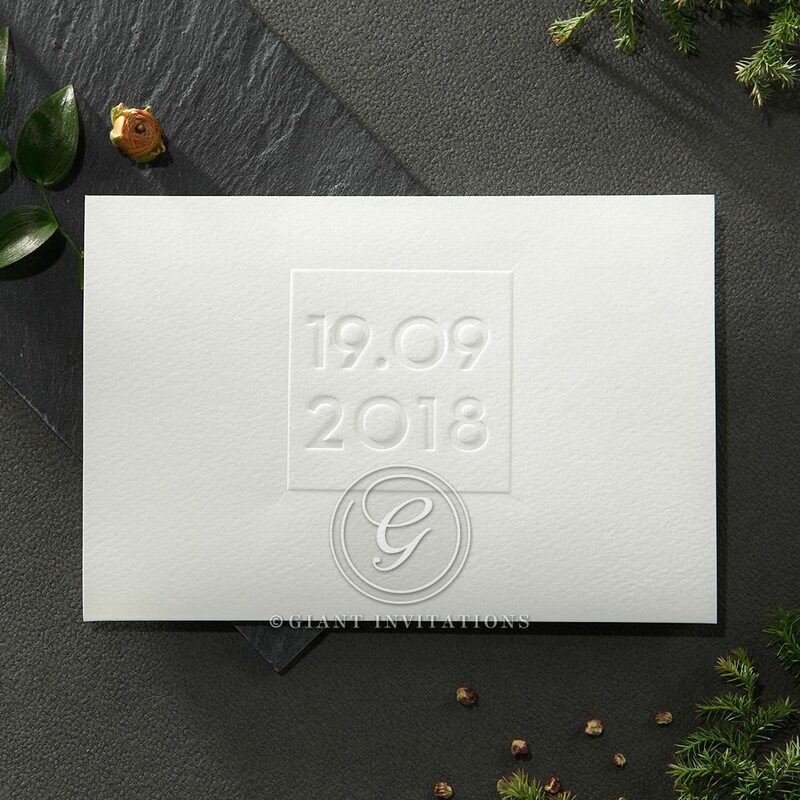 A simple design goes a long way!although we ordered a lot of samples from Giant Invitations because they are simply just beautiful, this was in our final three favourites.It is a very beautiful, clean design and is really well made. Thank you Giant Invitations!